Carolist of the New Millennium." 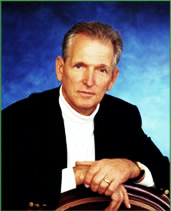 Ronald M. Clancy is the author and product developer of imaginary Christmas music packages titled THE MILLENNIA COLLECTION: Glorious Christmas Music, Songs and Carols. To date the first volumes of this planned ten-part series of exquisite Christmas music packages have been launched. Exceeding his own expectations, Best-Loved Christmas Carols (Vol.#1), American Christmas Classics (Vol. #2), and Children’s Christmas Classics (Vol. #3) have been released and garnered high acclaim from reviewers, booksellers, and customers from all walks of life. He has been appeared on PBS Religion and Ethics Newsweekly, EWTN Catholic cable network, and QVC. And The combination of Christmas music CDs presented along with lavishly illustrated coffee table books and songbooks has brought added thrills to the holiday season. Born in 1944, Ron is married to a wonderful educator/schoolteacher and is a graduate of George Washington University where he earned his BA degree in Journalism. For two decades he opted for a career in executive search, recruiting for both Fortune 500 corporations and small hi-tech companies. Collecting Christmas music was a hobby. 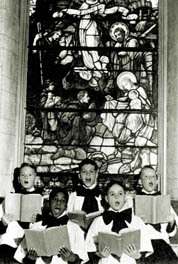 When Ron heard heavenly Christmas carols sung by a choir of nuns at his first Midnight Mass at a Catholic orphanage in Philadelphia, he was hooked. He eventually sang in the orphanage boys’ choir. In later years he collected Christmas music of all genres and by 1982 he had assembled a sizable library. In 1989 his continued interest in Christmas music led him on his journey to compile the landmark THE MILLENNIA COLLECTION. His objective was to create one of the finest Christmas music products possible. Curious by nature, Ron wanted an innovative format to share his discovery about how Christmas music developed over two thousand years. With the future release of Sacred Christmas Music (Vol. #4) and subsequent volumes, along with the first three titles, Ron believes readers are in for an exciting adventure.